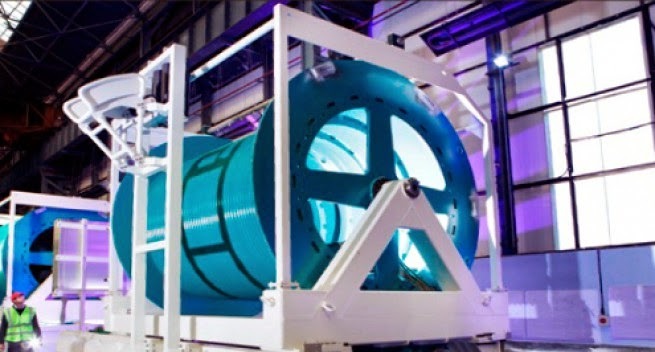 Nautilus Minerals Inc (Nautilus) has announced that it has been advised by Soil Machine Dynamics Limited (SMD) that the umbilical winches for the three Seafloor Production Tools (SPTs) have successfully completed Factory Acceptance Testing (FAT). Mike Johnston, Nautilus’ chief executive officer commented; "Completion of FAT on the umbilical winches marks another significant step in the journey towards seafloor mining in 2018.The winches are now ready for installation of the umbilical cable. When this task is completed later this year, the winches will be dispatched to the shipyard for integration on to the vessel." According a statement released explaining the functions of the umbilical winches, Nautilus said the Solwara 1 winches are approximately 85 tons and manage the feed–out and recovery of the SPTs’ umbilicals. The company said there is one winch for each SPT. The winches store 2500 metres of armoured umbilical, with the umbilical providing the power and control systems to the SPTs through copper wire and fibre optic cables embedded within the armoured casing. The umbilical winches will be installed on the production support vessel. It said the umbilical winches were designed and built by SMD and are based on standard Oil and Gas industry technology and are utilised throughout the world in deep water construction and related activities. Nautilus said the umbilical cables that will be installed in the winches were designed and adapted for Nautilus’ use by the German company, Norddeutsche Seekabelwerke (NSW). NSW is a world leading manufacturer of communications, submarine, overhead power and offshore cables as well as engineering plastic and environmental products.